Parents no longer have to sacrifice style or fuel efficiency when they purchase the perfect car for their family. The Ford Fusion Hybrid was recently named the U.S. News Best Hybrid Car for Families, making a lasting impression on the editors at the prestigious magazine through a combination of fuel efficiency, space, and sleek styling that are sure to impress the other parents in your car pool, too. The Fusion Hybrid has earned this honor four years in a row, showing that the sedan continually offers top-notch performance and fuel efficiency to consumers. In the hybrid car’s cabin, room is plentiful both in the front and rear seats, while a laundry list of features keeps everyone comfortable. Sensors, cameras, and radar systems all work together to help the Fusion Hybrid’s innovative driver-assist and safety technologies keep your family safe. The winner of the Best Hybrid for Families category was determined after analyzing professional automotive reviews, safety and reliability scores, seating and cargo volume, and the availability of family-friendly features. If you are interested in making the Ford Fusion Hybrid your next family car, stop in to Sanderson Ford today! The battle for the hybrid vehicle sales crown is beginning to heat up, and Ford is looking to knock Toyota from its throne. Thanks to an impressive consumer response the Ford C-MAX and Fusion Hybrid, Ford is shattering its hybrid sales records across the board. Ford destroyed its monthly hybrid sales record with 8,481 in April. The record April brought Ford’s total annual hybrid sales to 29,561 units, and puts the automaker on track to beat its annual record of 35,496 units in just five months. 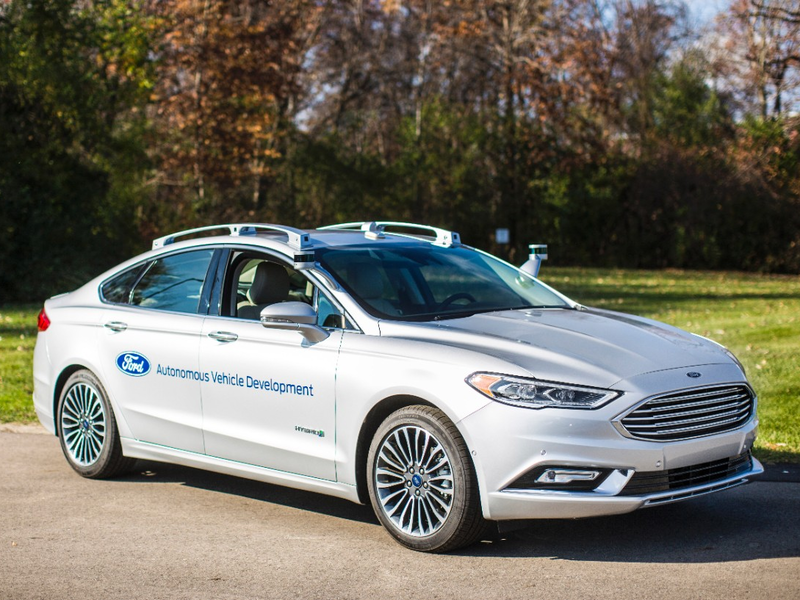 “We’re turning, conquesting and growing our sales the fastest in the largest hybrid markets in the country,” said Erich Merkle, Ford U.S. sales analyst, in a phone interview with Bloomberg.com. 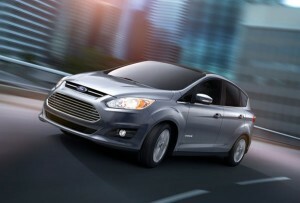 Ford’s share of hybrid sales in April rose to 18 percent, which is a 15 percent increase over the same month last year. Ford now holds the second largest share of hybrid vehicles sales. 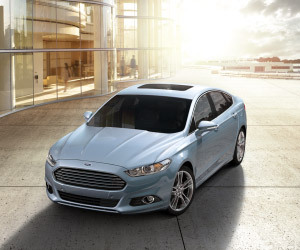 The 2013 Ford Fusion Hybrid led the charge with a fivefold increase in sales in April, totaling 3,989 units sold. Visit us at Sanderson Ford in Glendale, AZ to experience any of Ford’s efficient hybrid vehicles first hand. Ford has pioneered fuel economy-inspired innovations over the past few years, most notably EcoBoost and hybrid technology. 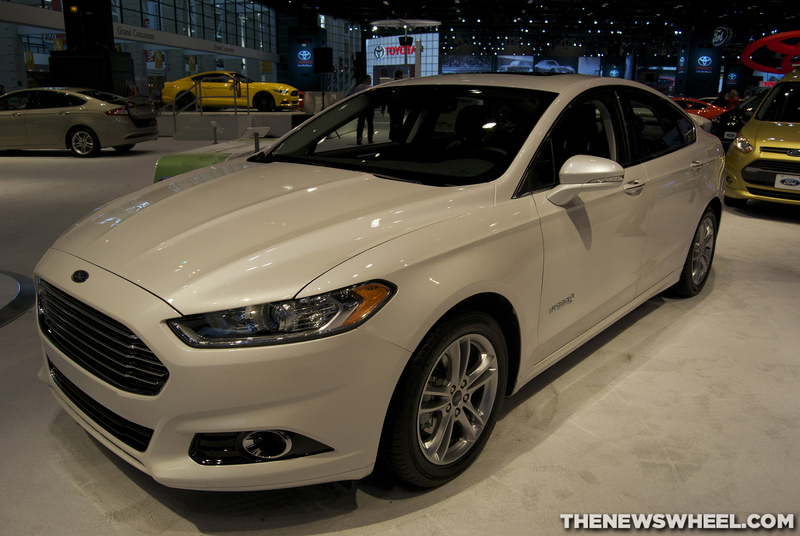 For the 2013 model year, Ford is putting its Hybrid technology on full display in the Ford Fusion. The 2013 Ford Fusion Energi plug-in Hybrid is able to return a combined 47 mpg when functioning as a hybrid and an incredible 100 MPGe (miles per gallon equivalent) when being driven in electric mode. The 2013 Ford Fusion Hybrid dominates its closest competitor, the Toyota Camry Hybrid, in terms of fuel efficiency. In fact, the Fusion Hybrid beats the Camry Hybrid by 8 mpg highway and 4 mpg city. The 2013 Fusion Hybrid also flaunts additional innovations for drivers to increase fuel economy. Ford’s SmartGauge with EcoGuide insures that the driver is operating with optimal fuel economy, and the ECO Cruise delivers the greenest cruise control possible.